We’ve all seen the unmistakable signs of corroded metal at some point. The typical orange colouration, structural degradation and reduction of strength are an unfortunate natural process of many metals. But what is corrosion, and how is it caused? 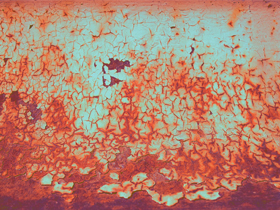 Corrosion is a deterioration of metal that occurs through a chemical reaction between metal and its environment, particularly where moisture is plentiful. It is not only unattractive, but also leads to cracks, holes, fatigue and the metal becoming brittle and weak. Aluminium is a robust material with excellent corrosion resistance in most environments. Scientifically, this is largely due to its nature to form a surface barrier of aluminium oxide a fracture of a micron thick, which repairs itself immediately when damaged if oxygen is in the environment. Crevice corrosion however can occur when metallic surfaces are exposed to stagnant solutions that become depleted of oxygen. Crevices, cracks and non-hydrophobic surfaces in close contact tend to stay wet longer than an exposed surface, starving the area of oxygen through diffusion. Southern Star Aluminium Windows and Doors are designed and manufactured to a high standard, with consideration of all potential impacts including corrosion and general wear. Keeping up to date with routine maintenance is vital and reduces the chance of corrosion - ensuring the longevity, performance and appearance of your aluminium products.